Ian and Amsterdam hit the road this week! 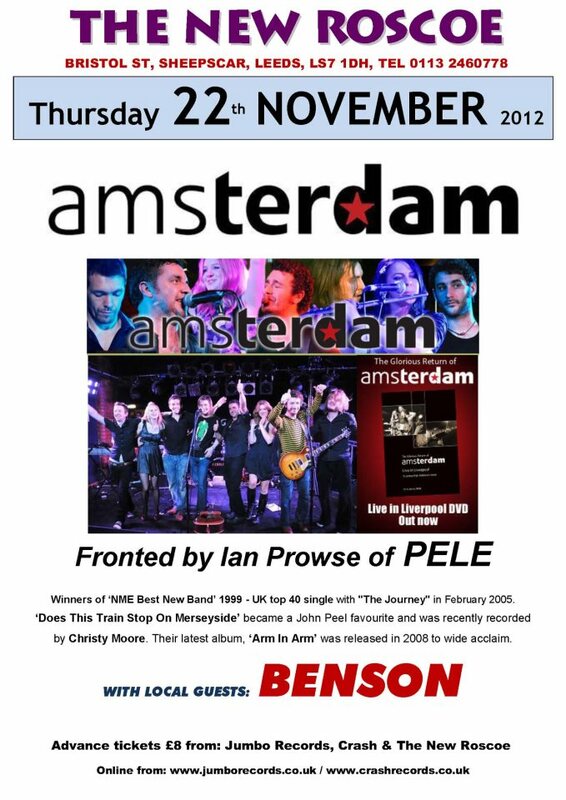 The full 7 piece Amsterdam rock and celtic soul band finally hit the road for 3 farewell to 2012 shows. 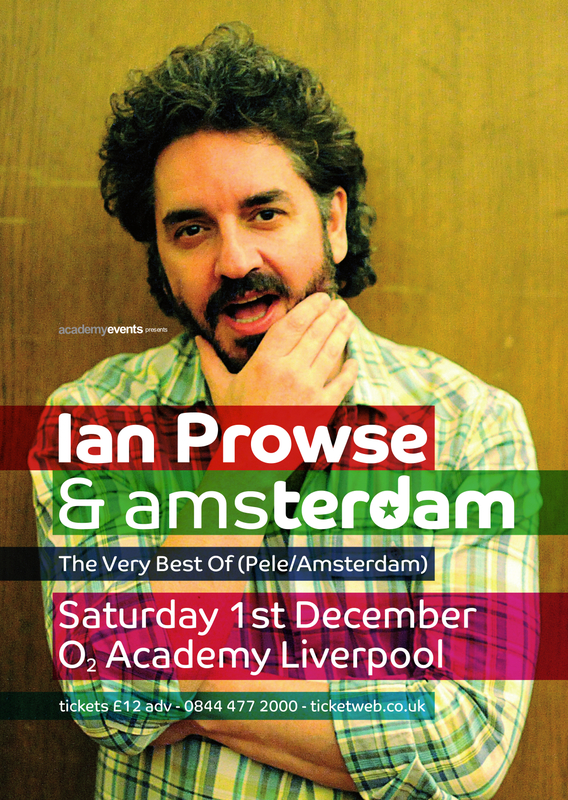 The gang will be celebrating the release of ‘The Very Best of Ian Prowse’ album which came out to rave reviews earlier this year. Don’t miss these shows as the band will be off the road for a while after this. The first show is in Leeds tomorrow (Thursday 22nd) at the New Roscoe. There are some tickets still available and you will be able to pay on the door. Support comes from ‘Benson’. Then the band hit London town this Friday 23rd with a show at new venue ‘The Islington in Islington, a minutes walk from Angel tube station. Tickets are flying out for this so get there early if you’re paying on the door. Amsterdam are on stage at 9.oopm prompt. The final show of the year is at the Liverpool 02 Academy on Saturday 1st December as a 9 piece band with support from The Ragamuffins and Only Child. This promises to be a huge show to bring this era of Amsterdam to a close before the gang go away and dream it all up again. ← London show venue change!